Photovoice methods are powerful, low-cost, and versatile. The cornerstone activities within these methods are participant-driven photography and elicitaion. Photovoice researchers employ photovoice methods for engaging participants in exploration of public health issues. For example action research designs of photovoice often employ a critical theoretical orientation with emancipatory goals of community assessment, empowerment, and policy change. This manuscript has come about as a culmination of our work as nursing scholars interested in social justice, method-methodology fit, and visual methods. With the advent of digital cameras, photovoice has grown considerably in popularity in health science research. Caroline Wang, Mary Ann Burris, originally coined the term in the 1990’s after experiences working with rural Chinese women in Yunnan Province, China. We point out in this retrospective article that two nurse researchers writing for this journal also were pioneering techniques in the 1990’s in participant photography: Jennine Nelson with patients recovering from cancer and Mary Hagedorn with parents of children with disabilities. ANS would not publish another study using photovoice until 2008 with Jan Sitvast and colleagues, who reported on almost a decade of participant photography with mental health patients. What these researchers shared in common with Wang was their focus on grounding their work inside a theoretical framework. In this retrospective article we update the photovoice process by proposing three specific questioning strategies for phenomenology, grounded theory, and critical theory. Our own research is grounded in critical theory: Dr. Rosemburg (Sanon) explores the perspectives of Haitian hotel workers using the theoretical frameworks of transnationalism and critical ethnography, Dr. Evans-Agnew explores the discourses of asthma management disparities in African American youth and Latinx mothers of children with asthma. In the process of conducting our research we became aware that the literature critiquing participatory visual methods in nursing and health research was under-developed in terms of design, social justice outcomes, and emancipatory intent. We observed that participants in photovoice studies were inconsistently involved in the selection or display of photos or titles or texts in the research manuscript. In some cases the ways researchers publish participant photographs and texts appeared to increase their vulnerability. For example in one published article we noticed that the participant’s caption, “that vacant business property with bullet holes…” under a photo they had taken of the building was subtlety altered by the authors to, “bullet holes that riddle a local building.” We concluded that photovoice designs, unless carefully guided, might continue to gaze more closely at the disadvantaged than the advantaged. What we have argued for in this manuscript is for researchers to make careful decisions on how photovoice process might differ between methodologies. These decisions include those made pertaining to research objective, participant selection, participant elicitation, analysis and dissemination of photos and phototexts. We approached this problem by reviewing the state of the science of photovoice methodologies in phenomenological, grounded theory, and critical theoretical designs. We found that more researchers had considered how to apply photovoice in phenomenological designs (including Nelson and Hagedorn the nurse researchers who published in ANS in the 1990’s) than grounded theory; and that aside from our own work in critical theoretical approaches for Photovoice, few ostensibly critical participatory photovoice studies were grounded in theory. This manuscript provides a roadmap for helping researchers navigate different designs throughout the various stages of the photovoice process. We offer questioning prompts that specifically fit data collection to the methodology for three key moments in the photovoice process: stimulating the collection of photos, discussing/participatory analysis of the photos, and evaluating audience response at photovoice gallery events. We consider this latter set of questions to re-invigorate the original transformational intent of advancing participant voice in photovoice (Figure 1). By better understanding how audiences react to the presentation of photos and photo-texts, research teams (including participant researchers) can develop a deeper understanding of the persuasive power or relevance of some photographs over others, thereby advancing rigor. In writing this Blog, I had a chance to connect with two of the the three researchers who have published photovoice work in this journal: Jeanine Nelson and Jan Sitvast. Both researchers book-end almost a quarter of a century of nurse-researcher involvement with participant photography, from Jeanine’s work in Colorado in the 1990’s with Photographic hermeneutics to Jan’s work on photo-stories with psychiatric ward patients in 2008-2016. Dr. Jeanine Nelson recalled a confluence of experiences that motivated her to hand cameras to her participants in order to “see as best you can the view from those who have the experience.” She worked as a research assistant with Joan Magilvy using researcher-driven photography to elicit “emic experience and dialogue” on homecare and aging in rural Colorado (Magilvy, Congdon, Nelson, & Craig, 1992). She also credits Marilyn Ray (also published extensively in ANS) with suggesting that she ask the participants to take their own photographs. Her research occurred before disposable cameras and she recalled the technical difficulties she had in developing slide film and using a slide viewer for each of her participant interviews. Jeanine suggested trimming questions from our suggested questioning strategy for phenomenological designs, eliminating the question, ”What is really happening” in order to more sufficiently bracket the researcher and instead probe with short questions such as “tell me a little more.” Dr. Jan Sitvast is continuing his work with patients recovering from psychological events, he says, “Right now I am engaged in a study where we stimulate vitality in people who are otherwise too much thinking of their situation in negative catastrophic terms. The photo assignments make people aware of what is beautiful or fine.” Jan’s work provides new opportunities for using participant-photography as a therapeutic tool for nursing practice. This retrospective article provides new groundwork for advancing participant photography in nursing research. We review the process, especially in the contexts of theory, and suggest new questioning strategies. 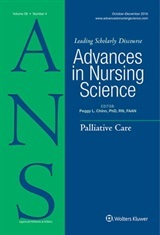 Our hope is that nurse researchers continue to advance not only the methods of participant photography, but also deepen their scholarship in the theoretical grounding of these methods for advancing knowledge and discovery. Magilvy, J. K., Congdon, J. G., Nelson, J. P., & Craig, C. (1992). Visions of rural aging: use of photographic method in gerontological research. Gerontologist, 32(2), 253-257.